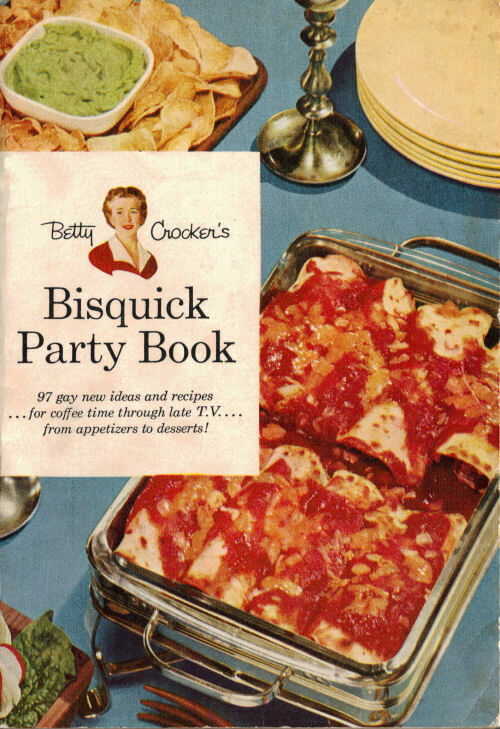 Here is the inside cover (page 2, the cover is counted as page 1) and pages 3, 4 and 5 of the vintage cookbook: Betty Crocker’s Bisquick Party Book that was published in 1957 by General Mills. 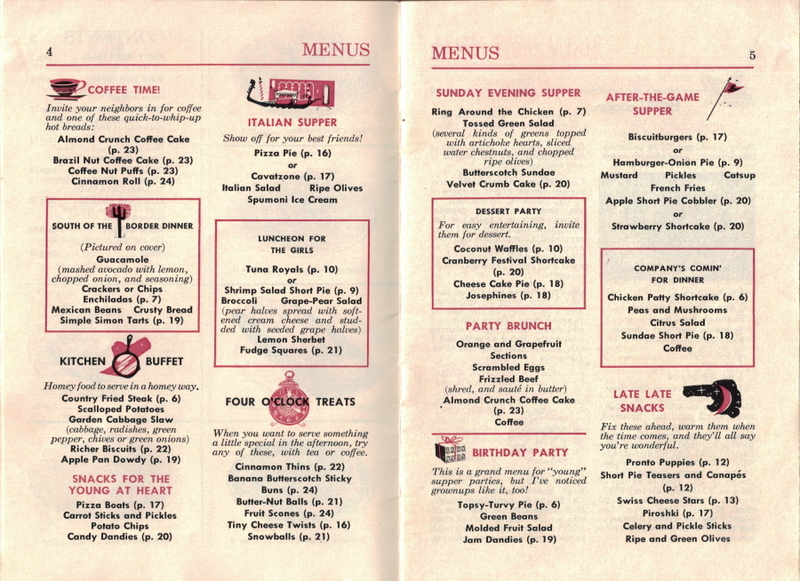 Pages 4 and 5 are menu ideas, I just included the scan at the bottom. To review all pages in this booklet, simply visit the Bisquick Party Book: Betty Crocker Category and click on a page title to review that section. 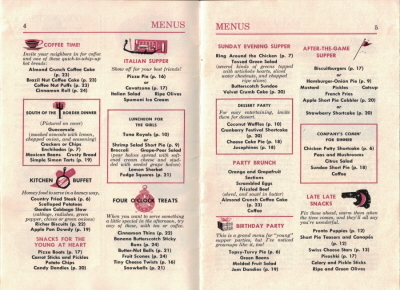 There are scans of each of the pages at the bottom, you can click the pictures to view a larger size.
. . . for coffee time through late T.V. . . .
Love giving parties? We all do! And little ones or big ones, they’re much more fun nowadays with the trend toward informal entertaining. Good food and good companionship are shared before a television set or in the kitchen, as often as in the dining room. It’s a party–whether you set a pretty table with your loveliest china, or serve from trays! 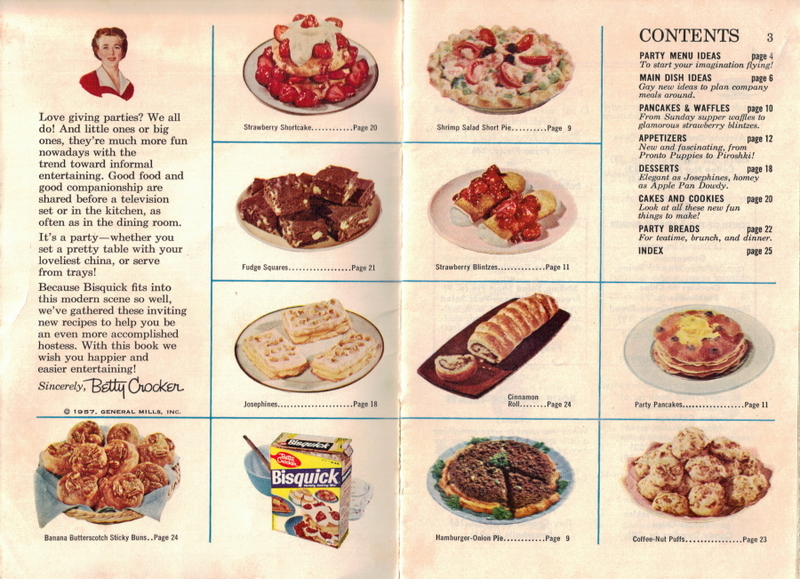 Because Bisquick fits into this modern scene so well, we’ve gathered these inviting new recipes to help you be an even more accomplished hostess. 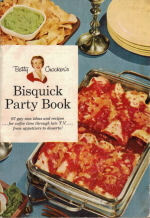 With this book we wish you happier and easier entertaining!